The 5* all-inclusive Lykia World Antalya is the ideal resort of choice for a pleasant golf holiday, offering direct access to the 18-hole course at the Lykia Links Golf Club. 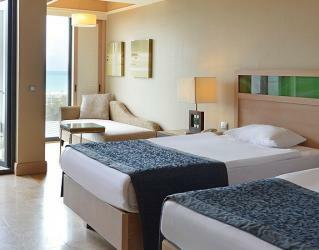 The rooms of the resort are all spacious and offer different views: Sea, pool, nature or golf. Rooms range from standard rooms to suites and villas. The rooms with stunning golf views are always a favourite amongst golf fans. The rooms are all equipped with a LCD TV, telephone, internet, safety deposit box, minibar, hairdryer, bathroom toiletries, bathrobe and slippers for a pleasant stay. 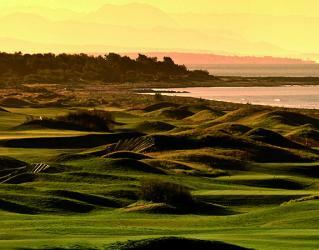 Lykia World offers direct access to the Lykia Links golf Club, home to the only true links course in the Mediterranean. 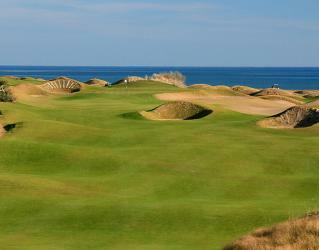 Play a round of golf at the links course to have a truly spectacular golf holiday. Lykia World has an incredible range of Turkish and traditional gourmet tastes both in its buffet restaurant and A’la Carte restaurants. All year round, breakfast, lunch and dinner are served in the Golf Restaurants buffet with tasty options prepared using the local sourced ingredients. When it comes to A’la Carte restaurants; the Italian Restaurant providing amazing view of the golf course offers delicious Italian cuisines. Fish House is open all year round set in a nice ambience with various options. In the summer season, Turkish Restaurant, designed in Ottoman style and decorated with the pictures of the Sultans is open, serving the rich flavours of Turkish cuisine. Room service is available 24 hours and may be subject to extra charge. 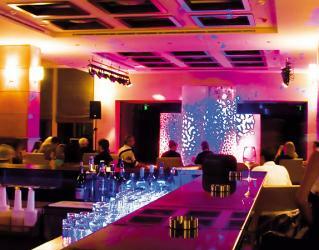 The resort offers a wide variety of alcoholic and non-alcoholic drinks throughout its 4 bars. Have a drink anytime you would like at the Lobby Bar, open 24 hours. 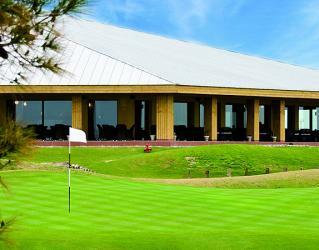 Links Bar is an ideal place to sip an ice-cold beer after a long day on the golf course. 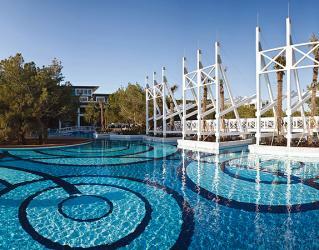 In the summer season, Beach Bar and Istanblu Bar are available with cooling drinks. 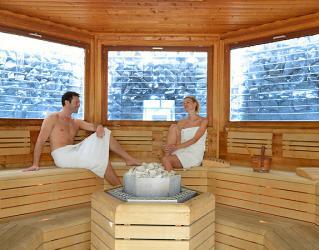 The Spa & Wellness Centre of Lykia World offers all you need during your stay. Completely unwind here with the various skin cares, massages and therapies that will refresh your body and soul surrounded by a peaceful atmosphere. 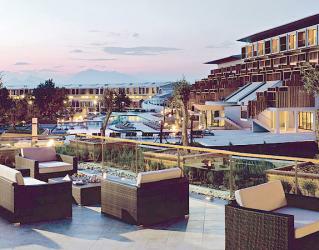 Turkish massages, as well as massages from the Far East will soothe your aches and pains after long rounds of golf. For a complete Spa experience, you can relax and rejuvenate in the traditional Turkish Bath, Jacuzzi, saunas and steam room. 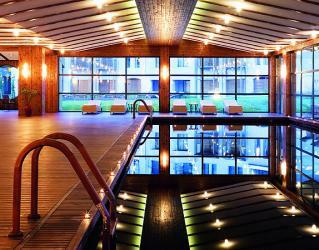 The Japanese indoor pool here will fascinate you with its calm and serene ambience. The fully equipped fitness centre with a Kinesis wall will be a great choice for those who want to keep with their fitness routines. The daily activities such as tennis, yoga, Pilates, aerobics, aqua gym, pool games, football, beach volleyball and water sports will keep you entertained all day long. In the evenings, acrobatic shows, circus shows, parties, dance performances and live music take the stage. Opened in 2008, this golf course is certainly unique in a stunning location. With a full coast on one side and the Toros Mountains on the other, the breath taking scenery will company you throughout the course. There are waste-bunkers, Dye-Style bunkers and one huge lake between holes 7 and 8. There are also 5 tees to start from on this 18-hole, 73 Par golf course over a total distance of 6,850 meters. • Transportations worked fluently and the staff was mainly helpful. • The golf courses that you had arranged were really good. • Everything that you had arranged worked really good. • Minimeeting with our rep. was pleasant and informative. • Driver who picked us from Lykia and took us to the airport at departure seemed a bit grumpy, but this did not concern us. I will definitely use your services when coming back to Belek next time. We also recommended your services for some people in Belek and back home in Finland, so I am hoping that you will more quotes regarding those. I had a perfect week! I am not a VIP – but I was treated as if I was. 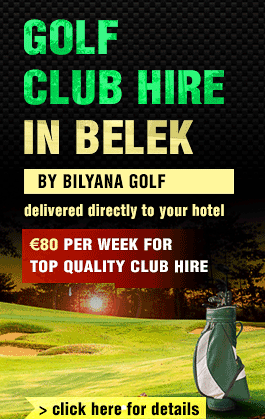 By Bilyana reps and all persons at Lykia hotel and Lykia Links golf course. The best rating I can give is that during the week I not once even thought of calling Bilyana reps.
Hi Bilyana, got home last night from lykia with my seven buddies and it was brilliant from start to finish. Once again thanks for providing us with a great holiday.